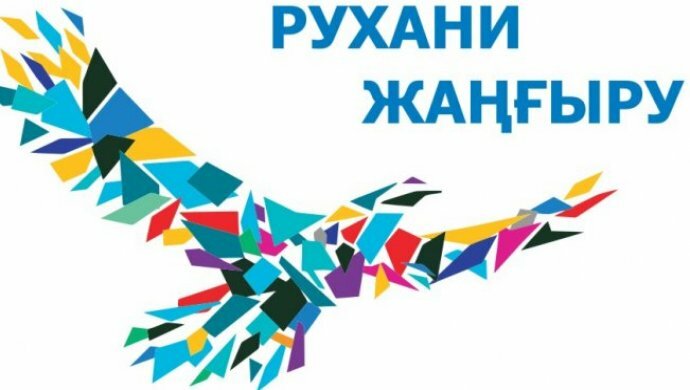 The strategic goal of educational work and youth policy consists in implementation of priorities and the creation of conditions for formation of Kazakhstan patriotism, citizenship, tolerance, spiritually-moral, physically healthy, socially active personality. The solution of this goal by a systematic and comprehensive work with students through various public organizations of the University: the Committee on youth Affairs (CYA) is a school of education student of public activity and future leaders. It is the student circles, debate club, students’ self-government, MTR, «Zhasyl El» and the charity organization «Akniet». Cargo pneumatic tube transport. The latest, which has no analogues in the world, import substituting and export-oriented equipment for cargo lifts in buildings and structures with capacity of 110, 250 and 250 kg. Low pressure compressed air (0,003-0,007 MPa) in the cavity of the mine creates favorable dynamic conditions of work. pneumatic tubes are made at machine-building plant №1 of Karaganda. A unique development for conveyor transport, which is one of the best in the world transshipment unit, ensuring the sanitary and ecological safety. Device provides decrease of dust formation in 10 and more times through the management of the aerodynamics of the air flow. The principle of job of installation is based on the effect of the hydraulic jump», which ensures the formation of aerosols in the minimum number and localization of the dust of the flow within the device. Original design, made at the level of advanced technologies, designed for high precision weighing of bulk materials on conveyor belts in production environments. The dignity of the scales is the presence of two mechanically separate measurement channels, which allows to provide the relative error of weighing between 0.5…0,1 % in whole range of productivity of the line and use indirect method of calibration and verification, the verification of cargo, which gives special advantages of the developed method in relation to the traditional and less effective for the modern production. Object and objectives – creation of new technologies in the field of enrichment of minerals. Project realization on the base of new technological solutions of minerals enrichment envisaging implementation of new reagents, modes of enrichments into technological scheme of the enterprise at enterprises of mining-metallurgical complex. Head of department: Cand.Tech.Sci., associate professor Omarova N.K. Technologies and means of processing of raw materials and waste disposal. The aim of the project is creation of new technologies in the sphere of processing minerals. Research are directed on development of theoretical basics of technological processes of production of molded items by methods of powder metallurgy from crushed mineral raw materials of different origin. Head of Department: Cand.Tech.Sci., associate professor Alzhanov M.K. Rational use of resources and protection of environment. The aim of the project: creation of new technologies in the sphere of rational use of mineral deposits. Head of Department: Cand.Tech.Sci., associate professor Obukhov Yu.D. It is one of the first in Kazakhstan, established on a competitive basis in pursuance of the instruction of the Head of state. For a grant in the amount of 200 million tenge laboratory is equipped with a wide range of unique devices and equipment of geological-geophysical, geomechanical, surveying-geodesy, mining-and-metallurgical profile, as well as means of automation, information systems of data transmission world manufacturers (Switzerland, Germany, England, USA, Czech Republic, Denmark, Sweden, Turkey, Russia), that allows to carry out unique researches in the field of the development of the resources of mineral raw materials. 8. Mechanization of labour-intensive processes in mining enterprises. Geological-geophysical control of the quality of mineral raw materials. The goal and objectives of the project – development of new technologies in the field of geological-economic and geophysical evaluation of mineral deposits and quality control of mineral raw materials at all stages of the development and the subsequent processing, which include: -organization of systems of computer monitoring status of the economic-geological environment of mining production, including the Autonomous system of quality control of mineral raw materials; -development of means and systems of geophysical control of the quality of mineral raw materials at all stages of prospecting and exploration, of mining, extraction and processing; -development of innovative technologies of processing of mineral raw materials, including energy, non-traditional species and man-caused deposits. Head of the Department: doctor of technical science., prof. Portnov V.S. Object and objectives of the project- creation of new technologies in the field of development of mineral resource deposits. -development of technological schemes of production and the optimum parameters of mining operations. Heads of the direction: Doct.Tech.Sci., prof. Nizametdinov Ph. K., Doct.Tech.Sci., Associate professor Tsai B.N. Processing technology in low-power and complex-structural coal seams. The technology is intended for highly effective excavation of the low-power and complex-structural coal layers on the basis of use in underground conditions in passing extracted mine breed. Developers: Doct.Tech.Sci., prof. Demin V.F., candidate of technical science. Son D.V. Resistance management of quarry slopes. It is designed to improve the efficiency and security of open development of mineral resource deposits on the basis of comprehensive research. The work has been implemented at a number of open pit mining enterprises of Kazakhstan: Nikolayevsky (MKHK), Kownradsky (BGMK), Small Spassky (VRS), Kentobe, Nurkazgan and etc. Developers: Doct.Tech.Sci., prof. Nizametdinov Ph.K., candidate of technical Sciences, associate professor Ozhigin S.G. The anchor fastening of mountain developments.There offered effective technology of anchoring fastening of mountain developments on the basis of studies of the stress-strain state of the enclosing rocks, enabling to increase the stability of mine workings at the expense of management of the properties edge rock massif. The project has been approved in the mines of «Shakhtinskaya», «Saranskaya» T. Kuzembayev and «Kazakhstan» UD JSC «Arselor Mittal Temirtau». Developers: Doct.Tech.Sci.,prof. Demin V.F., candidate of technical science Son D.V., candidate of technical science. Nemova N.A.. Import substituting extrusion technology of concrete and reinforced concrete products will allow to receive under pressure, with the use of special molding units, long-length products with high performance – up to 2.5 thousand cubic meters at conveyor production. Actually extruder is the auger, which is assigned to fluctuations for compaction of concrete mass. Advantages of the new technology – quiet production, lack of vibration, dust and gas emissions in the environment, the accuracy of the geometrical sizes and the strength of the received goods and, as a consequence, advanced town-planning and architectural decisions, and moreover, the applicability of the technology for the construction of roads, bridges, runways. Developer: Doct.Tech.Sci., prof. Baijanov D.O. Kazakhstan multidisciplinary institute of reconstruction and development. * rehabilitation and reconstruction of buildings and structures. Head of Institute: Cand.Tech.Sci., Assoc. Nuguzhinov Zh.S. The installation is aimed at import substitution as a technological line, and the products. It has flexibility in production and manufacture of products, considerable low prices, in relation to imported machines of leading Western countries. * Saving of energy cost for production of construction items. Developer: Doct.Tech.Sci., professor Smirnov Yu.M. *Technical maintenance of computer classes in the certification FCC. Preparation of scripts for videomaterials. Providing access to network INTERNET KSTU and global network INTERNET for all subdivisions ETLC and University. Technical Lyceum – secondary educational establishment of a new formation. Date of formation of the technical Lyceum of 1996. The system of Lyceum – College – University corresponds to the international Barcelona learning model, realizing principle of continuous education during the whole life with specialized training in subjects of is natural – mathematical cycle: Chemistry, Physics and Mathematics. At a present time 162 pupils study at lyceum. According to the results of UNT technical Lyceum is in the top of ten best schools in the city. 95% of the graduates of Lyceum are in KSTU. The basic direction of educational activity of the technical Lyceum is a professionally – oriented high-quality professional education, provided by modern pedagogical methods and electronic equipment. -creation of favorable conditions for development of creative potential of students and education of highly educated, physically healthy, competitive and political cultural personality. -execution of scientific research projects under the guidance of Lyceum’s teachers and University professors. Principles of healthy lifestyle and ethnopedagogics is promoted and introduced at lyceum. Work on legal literacy is held constantly. All conditions for development of creative abilities of lyceum pupils, formation of their professional and general cultural competence and self-realization are formed. College ITB was created in 1999. It implements activity within the scope of concept of continuous education: Lyceum – College – University. – -Prepares organizers of the railway and road transportation, engineers – electricians, technicians – and-engineers, technicians telephone operators, computing machines, designers, technicians on standardization, certification and Metrology. -Material-technical, methodical laboratory base of University departments are used for the training of specialists of the College. -College is an experimental platform for approbation of Kazakhstan’s books and textbooks and educational-methodical complexes of the new generation. -College students are active participants of the Olympiads, scientific-practical conferences, competitions, sports competitions. -The students of the College were diplomats of VI Republican educational-research conference «Youth, science, culture», held in Stepnogorsk. -In 2007 College took the first place in regional Sports contest among 48 colleges of Karaganda region. -Bases of practice for students are enterprises of Coal Department JSC «Arselor Mittal Temirtau», JSC national company «Kazakhstan Temir Zholy», JSC «КKazchermetavtomatika» and others. – During the years of existence more than 2000 specialists were graduated from college. In 2007 182 graduates from 349 entered KSTU. Graduates of the college continue education in universities of near abroad (Tomsk university, Moscow state university and others). In recent years there has been a tendency to training in educational institutions of the USA, Czech Republic, Germany and the Netherlands. -On the initiative of the rector of University on the basis of the College together with the Republican center of attestation and qualification of MES RK from 2008 will be opened experimental courses, which will study free of charge children from children’s homes in professions: «Artist – designer», «Turner – universalist», «Technician computer devices maintenance», «Operator of communication». Graduated from the courses will receive a certificate of the state sample and will be able to get a job at the enterprises and organizations of the Republic of Kazakhstan. Faculty of actual education (FAO) established in 1994, with the purpose of realization of the concept of continuous education. -Accelerated receiving the second speciality on the basis of the existing higher education, which is implemented at the faculty, allows to satisfy the needs of the Republic in the qualified experts, as well as the needs of the citizens in obtaining sufficient education to the implementation of full-fledged professional activity. -Preparation of specialists is carried out on a wide range of specialities relevant to the technical sciences and technology, social sciences and business, services, art and education. Disciplines providing basic and profile preparation on full-time, part-time, full-part time and correspondence learning with education term of 2-2,5 years are included in working educational planes. Classes with students of FAO are held by leading professors, associate professors and professors of the University, as well as the specialists of the manufacturing industries, educational activity which is accompanied by a wide use of modern methods, means and technologies of training. With the existing needs in the training of specialists, executed in the form of target orders of enterprises and organizations, training of specialists is carried out on individual plans, which are developed producing departments in view of specificity of the future specialist. –There trained more than 1800 specialists at faculty, 295 of which received diploma with honours. State certification committees are marked by a high level of final works of students and the relevance of their subjects. Pulse forming machine for production of casting moulds. Pulse forming machine is intended for reception of competitive production (castings from steel, cast iron and non-ferrous alloys. The use of pulsed methods of seal molding mixtures and developed for implementation forming machine increases the uniformity of moulds in the production of castings of complex configuration. The use of pulse forming machine reduces the cost of castings for 15%, reduces the number of molders in 1,5-2 times, improve security, increase productivity up to 300 half-mold per hour. They are introduced at enterprises of LLP «Kazakhmys»Corporation. Developers: Doct.Tech.Sci., prof. Issagulov A.Z., candidate of technical sciences, associate professor Kuzembayev S.B. A new technology of hardening and unique way to control the properties of details after surface treatment in the technological line. -saving of material resources and test equipment for 5-6 times. The technology of diagnostics allows you to perform expert work on assessment of quality of the materials with application of modern devices. Developers: Cand.Tech.Sci., associate professor Sharaya O.A., candidate of technical Sciences, Assoc.professor Dakhno L.A.
New technologies of foundry production. New methods and casting machines, which allow to significantly improve the quality of castings are developed. High-efficiency processes of gas-impulsive molding and high-speed pressing are used for compression moulds. The molding machine has simple design, reliability, high production flexibility. The machine design and methods obtained 30 patents of the RK, Germany, Switzerland. Processes of manufacture of castings introduced in JSC «Aluminum of Kazakhstan», at Karaganda foundry factory JSC «Kazakhmys». Developer: Doct.tech.Sci., prof. Issagulov A.Z. Quality management system. Educational-methodological quality management centre. Educational-methodological quality management centre which includes quality and monitoring services was created in 2004 for providing of effective functioning and improvement of QMS of University. Quality service plans and monitors functioning of QMS; plans and organizes the internal audits; holds monitoring and measurement of processes in the system; organizes the development and updating of documentation; carries out training of employees of the University system of quality management in the framework of the standards ISO 9000-2000. Monitoring service conducts research and analysis of the market of educational services that meet the demand of individual customers, studies their requirements to the quality of educational services; plans organization and conduct the research of satisfaction of the consumers; analyzes the data of the conducted research and communicate the results to the management and staff of the University. Department of automation of production processes, together with departments of Moscow Energy Institute, Baltic State Technical University, Omsk State Technical University, Sevastopol National Technical University participates in international educational project «Synergy». The project is aimed on creation of modern, unique, integrated technologies of distance engineering education in the XXI century. As one of the main goals defined by the organization of preparation of masters on scientific and pedagogical direction of «Automation and control» to work in the advanced companies in accordance with mutually agreed programmes and through joint participation of universities. In the process of project implementation are combined laboratory of mechatronics of the leading technical universities of the CIS through the Internet and creates an integrated training complex on the basis of United laboratories and joint scientific-pedagogical staff. The project is being implemented under the auspices of the «FESTO» (Austria, Germany). Universities are equipped with modern technical and software tools of the leading world manufacturers of systems of automation and mechatronics, including the concerns of «FESTO» and «SIEMENS», and educational laboratories of all universities are available to the students of each University. General information platform provides the opportunity for the development of integrated study programmes on basis of the best training materials universities. There created system of mutual remote access in the laboratory of mechatronics universities and joint interuniversity information platform, training modelling stands are prepared for work. In regard to the integration of masters of national programs with the advanced world educational systems of training is organized on the basis of credit technologies. Each University offers an opportunity for its students to perform laboratory tests on the equipment of other universities. There will be established a certificate of education in the framework of the project «Synergy» with common form for all universities with the signatures of the rector of the University and the project Manager from the company «FESTO». Educational-scientific Laboratory is organized in the structure ETLC, which is equipped with modern microelectronic equipment and software. Equipment is supplied recognized world leader in the development and production of hardware and software for the tasks of industrial and scientific automation, diagnostics, management and simulation – U.S. company National Instruments. Sector of computer simulation and artificial intelligence. -recognizing systems for vibration diagnostics of gearboxes. Language trinity centre was opened in March 2008 on rector’s initiative, laureate of the State prize of the RK, academician of NAS of RK Arstan Maulenovich Gazaliyev. Center bears the name of great philosopher, poet, enlightener of Kazakhstan Shakarim Kudayberdiyev, 150-th anniversary of whom is celebrated this year under UNESCO’s initiative. 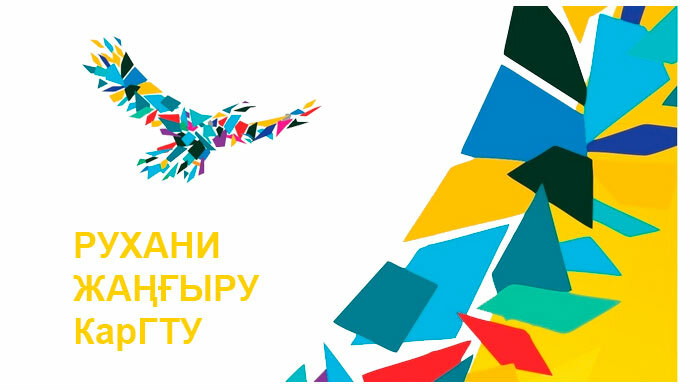 The purpose and tasks of the Center is to provide quality educational services for in-depth and intensive training of Kazakh, Russian and English languages by means of introduction in educational process of innovative technologies, international standards and implementation of the Kazakhstan cultural project «Trinity of languages».